I want to say this is the most overdue feature ever. 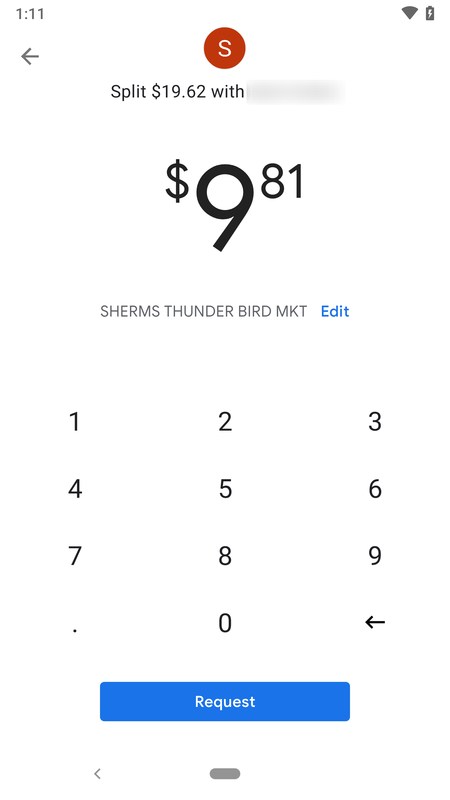 After years of just having to rely on just a card type and the last four digits of the number, we're going to finally get the option to nickname our payment methods with meaningful titles. 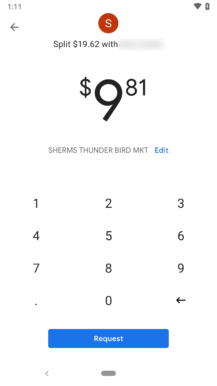 Of course, this carries considerably less weight since Google Pay is pretty good about calling up the appropriate card artwork. Nevertheless, there will still be good opportunities to name your cards based on which is best at a certain type of store or create some other type of useful reminder. While there's not much text here, and nicknaming a card certainly doesn't require much, there is one strange implementation revealed here and it's worth bringing that up: digits aren't allowed. 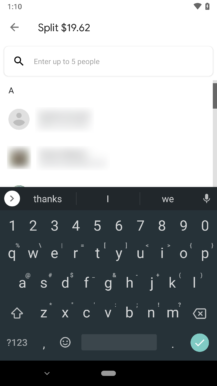 Yeah, evidently, you're not allowed to type in numbers. I suppose this might be about preventing trickery, like adding a card and changing the nickname on it to match the conventional naming formula, but substituting in different numbers. Still, I'd like to be able to add proper numbers to the title. 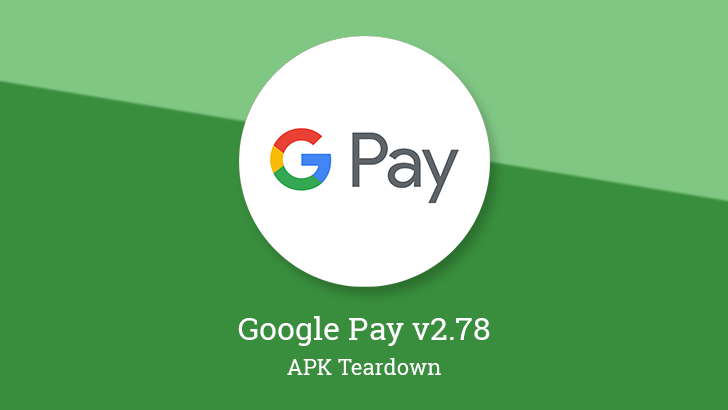 It wasn't enough to cover by itself when the first signs appeared in v2.76, but with the addition of nicknames, it seemed appropriate to get into the topic of group pay. There's barely any text here to explain the details, so I'll leave this up to speculation. The v2.76 update added a single line referencing groups and an activity with a name that removes any doubt that group pay is coming. 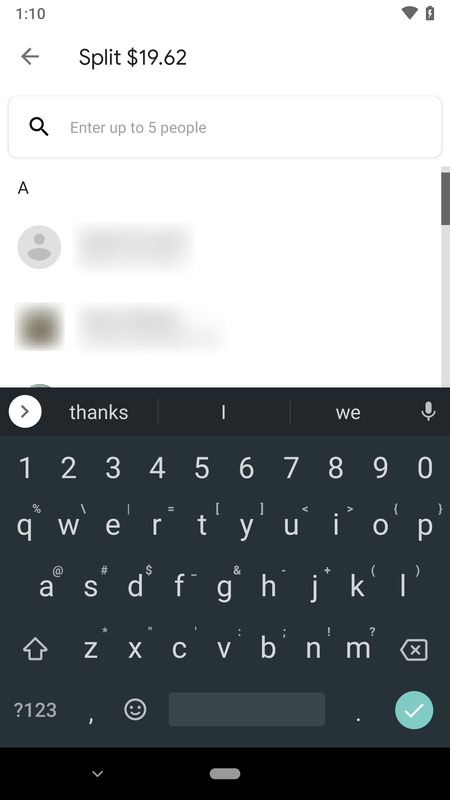 More notably, there was also text for a URL field added in the v2.78 update. This gives a little more context about what to expect, but still leaves a lot of room for interpretation. My first thought was that this would be used for bringing multiple people together to pay a single bill. 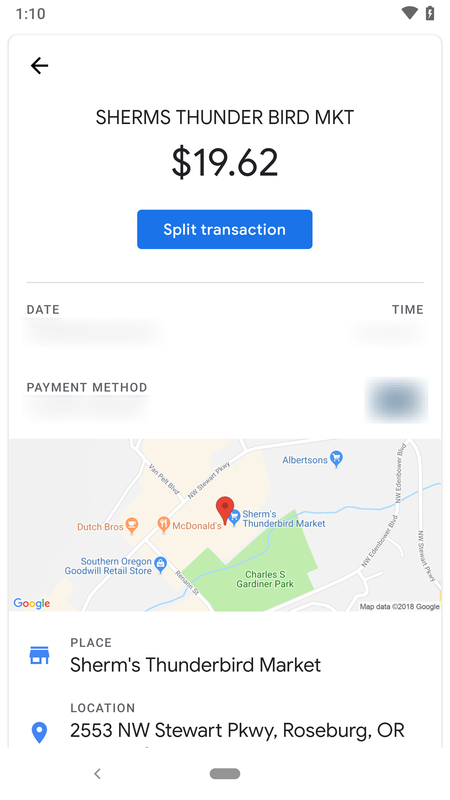 This is certainly still a possibility, but it has been pointed out that such a feature is already supported to an extent with a Split Transaction button on some purchases (pictured below). 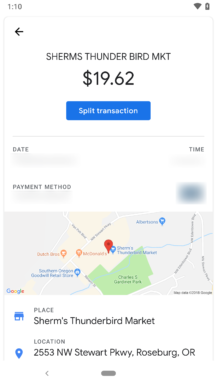 The Split Transaction button doesn't seem to appear on anything that's not an in-person purchase. I'm not leaning in the direction that this is still a feature that may be intended to get people together ahead of a purchase, or perhaps for taking small donations or contributions, let's say collecting whatever people can put together for ordering pizzas. On the other hand, with the limited amount of information, the possibilities are still pretty open. Note: This section was updated from its original version to fully reflect the split transaction feature. — Thanks, Nick Cipriani.